Do we really need filters? But there is a lot more to it than that. Read about fluoride issues, disinfectant issues, etc Health Risks by Chloramine in Water . Will the filter result in slow water flow? How long before I need to replace the filter media? Typically once for year for kitchen canister units, shower, bath, garden and filtering water bottles. Fluoride kitchen cartridges however, should be changed every six months. Each filter has that information in the description in the online store, Read our 10 Tips to select a Water Filter. How much does replacement media cost? Every filter description in the online store includes a link or links to the replacement media. You can also find all replacement filters in the Replacement Filters category of the online store. Do your shower and bath filters remove fluoride? The primary risk of fluoride is from ingestion. Unlike chlorine and chloramine, fluoride does not release into the air, is not breathed in, and is not readily absorbed through the skin. Shower filters do not remove fluoride. We don’t know of any quality shower filters that do. Will the filter put aluminum (or BPA or any other contaminant) in my water? Of course not, we’re here to help people get clean, healthy water. All the filter materials used have been tested to NSF standards and put nothing harmful in the water. There is no aluminum in any of our filters. Activated alumina is an inert resin. What we know of as Aluminum is a much more highly processed material. That processing includes the addition of fluoride. The resin Activated Alumina in many of our filters to remove fluoride is not aluminum and is not dangerous. We also offer an alternative to activated alumina in kitchen canister filters, which is calcium-based carbon, or bone char. How do your filters work? We have many different types of filters for many situations, whole house, point of use, travel, etc. We are not a one-size fits all business. How each filter works is detailed within the description of each filter. Also see the links within each description for still more detail. In every case however, it is what we call “classic” filtration: where the water if filtered by running over and through the right – top-quality – media. If you have well water, please get your water tested and email us with a copy of your report. You don’t want to spend money on a filter that targets contaminants you don’t have – and not target contaminants you do. We need to know not just the contaminants, but the levels, to be able to prescribe appropriate amounts of the right filter materials. Many of your filters use kdf, which is made of copper and zinc. Aren’t copper and zinc dangerous? Anything can be dangerous if you get too much of it. Copper and zinc however, are both trace elements that the human body needs. Many Americans are deficient in zinc. Our kitchen and whole house filters leave copper and zinc in the water at a fraction of the level people need each day. That is – at a trace element level. Copper ions are water-soluble and function in low concentrations to serve as a bacteriostatic substance and a fungicide. It is an essential trace nutrient to all higher plant and animal life. Zinc is an essential mineral of exceptional biologic and public health importance. Zinc deficiency affects about two billion people in the developing work and is associated with many diseases. In children, zinc deficiency causes growth retardation, infection susceptibility and diarrhea, contributing to the death of about 800,000 children worldwide every year. In our filters, copper and zinc work together in several ways, including that the zinc moderates the amount of copper left in the water, and the copper moderates the amount of zinc. Kdf also improves the effectiveness and efficiency of carbon. Are your filters as good as Reverse Osmosis? Or the variant: Are your filters reverse osmosis? We of course could sell reverse osmosis filters if we thought they were a good solution. It is our strongly-held view that reverse osmosis is not the best type of filter for many reasons, and we won’t sell products we don’t believe in. We recommend against reverse osmosis. You can read more here: Reverse Osmosis. What is the micron size of your filters? Micron size is essentially something having to do with reverse osmosis, which we do not sell. Sediment filters are built into each kitchen cartridge. The standard micron size is 25 microns. You have the option to select a 1 micron filter as part of the wide-spectrum cartridge. This small enough for plastic microfibers and cysts. But micron size is not how these filter primarily work. They work by combining various materials that filter by absorption, magnetics, and ion exchange. They take out what you don’t want, and leave trace elements in the water. We thought that block carbon was better. Why do you use granulated carbon? Granulated carbon provides acres of surface material. Water filtration happens by contact time between water and filter. If granulated carbon is not combined with kdf, as is the case in our kitchen canister and whole house filters, granulated carbon can have problems. Water can channel through the same path in the carbon, reducing effectiveness. When that happens, pockets form where bacteria can breed. Both of these issues are eliminated when carbon is combined with kdf. The water comes out of the FOAM ADVANTAGE kdf in all different ways, eliminating channeling and pockets. Copper (one of the materials in kdf) is a bactericide. Kdf is bacteriostatic, meaning bacteria cannot breed in the water or the filter materials. Thus, in our kitchen and whole house filters, you gain the advantages of granulated carbon and eliminate the potential disadvantages. The result is more effective filtration and longer-lasting filter material. What if we have both chlorine and chloramine in our water? That could happen if your municipality gets water from different sources in different seasons, and one uses chloramine and the other doesn’t. And some municipalities use chloramine as a rule, and occasionally use chlorine, which actually is a superior disinfectant. For shower and bath, get Chloramine filters. Chloramine filters will do a better job with Chlorine than Chlorine filters will do on Chloramine. For the kitchen, the 3-canister FLUORIDE, Chloramine Plus filter has materials that will effectively remove both chlorine and chloramine. Whole house chloramine filters will also filter out chlorine. 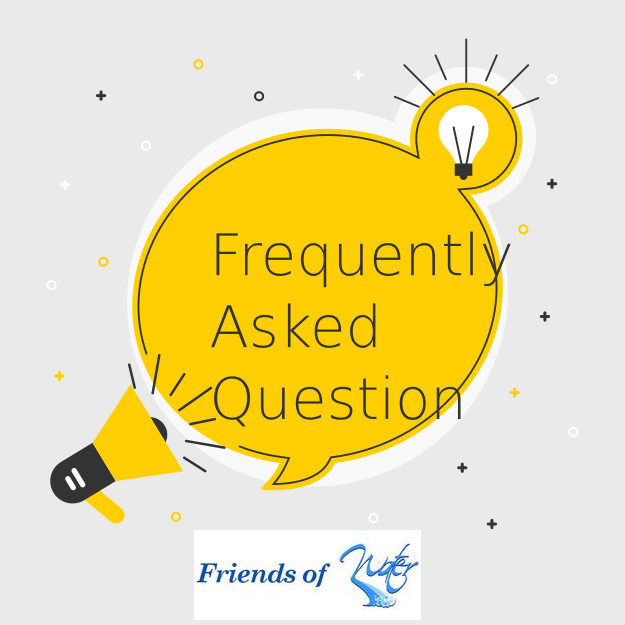 How do I know if there is chlorine or chloramine in my water, and if there is fluoride? Call the phone number on your water bill and ask them. Or do a web search for “Your town & state Annual Water Quality Report” and see what they list. If it lists chloramine or talks about it in the copy it’s in your water . If it doesn’t, it’s not. Do your filters adjust pH? No, if you are on a municipal system, your water is already pH neutral, so using filter material space to neutralize pH is a waste of filter space. You want filter media that actually does what you need done. These are filters – their role is to filter out contaminants. They are not ionizers. By the way, ionizers may contain some filter material, but their primary role is not filtration. Those who chose to use ionizers often put our filters in line before the ionizer so that contaminants are removed. What about TDS (Total Dissolved Solids)? We understand that there are some companies that make a big deal about filtering TDS. However, TDS is not a good measure of contamination, nor does it measure health risks or how healthy the water is. Our concern is filtration of contaminants, not TDS. TDS provides only hints about what is actually in your water. From Wikipedia: “Total Dissolved Solids (TDS) is a measure of the combined content of all inorganic and organic substances contained in a liquid in: molecular, ionized or micro-granular (colloidal sol) suspended form. Total dissolved solids are normally discussed only for freshwater systems, as salinity comprises some of the ions constituting the definition of TDS. The principal application of TDS is in the study of water quality for streams, rivers and lakes, although TDS is not generally considered a primary pollutant (e.g. it is not deemed to be associated with health effects) [bolding added by Friends of Water] it is used as an indication of aesthetic characteristics of drinking water and as an aggregate indicator of the presence of a broad array of chemical contaminants. YOU DO NOT WANT THE LOWEST TDS YOU CAN GET! THAT IS UNHEALTHY! LOW TDS MEANS YOU DON’T GET THE TRACE ELEMENTS YOU NEED. There is a draft report from the World Health Organization that says: “Salts are leached from the body under the influence of drinking water with a low TDS. Because adverse effects such as altered water-salt balance were observed not only in completely desalinated water but also in water with TDS between 50 and 75 mg/l, the team that prepared the 1980 WHO report recommended that the minimum TDS in drinking water should be 100 mg/l.“Demineralized water that has not been re-mineralized , or low-mineral content water – in the light of the absence or substantial lack of essential minerals in it – is not considered ideal drinking water, and therefore, its regular consumption may not be providing adequate levels of some beneficial nutrients.” Click to read more of this WHO Report. It seems clear to us that it is far better to get filters that actually target the chemical, organic and metallic contaminants that are in your drinking water – and leave the trace elements that the body needs.